Disclaimer: I received black LouvaGear sleeves for review & GIVEAWAY purposes. I was not requested to write a positive review. All opinions are my own and I have received no monetary compensation for this post. Okay. Rest of the country, be mad at me but I have thin blood. This means I get cold VERY easily! Luckily San Diego doesn't get too cold in the winter but we do have the rare day that dips into the 30's. On those days, its a no brainer. Long sleeves, beanies, pants, the whole shebang! But on those days of low 50s, I am presented with a choice. Long sleeves and skirt? Or tank and capris? Or my favorite choice? Tank, skirt and SLEEVES! So why these sleeves? Every single company out there makes sleeves. Well, for one, these are affordable. Like $12 affordable. Not quite disposable affordable but definitely reasonable. Makes it worth getting even for the 7-10 days of "cold" weather we have! Another reason? You can write on Louva sleeves. This means that you can write your split times, have someone wish you good luck on the race and so many other possibilities. They also stay put and don't fall off. No slippage. They stay in place and there is NO tugging! These are hands down my favorite sleeves I have ever tried. They make them in white and black for now. And if you know me, you KNOW I am itching for more colors! Haha! Louva, if you are reading, please make hot pink and royal blue next! As always, I am giving you a chance to win your own pair. One winner gets to pick white or black. One size fits MOST! Enter on the Rafflecopter to win! All winning entries will be verified. If a winning entry cannot be verified as completed, a new winner will be drawn. 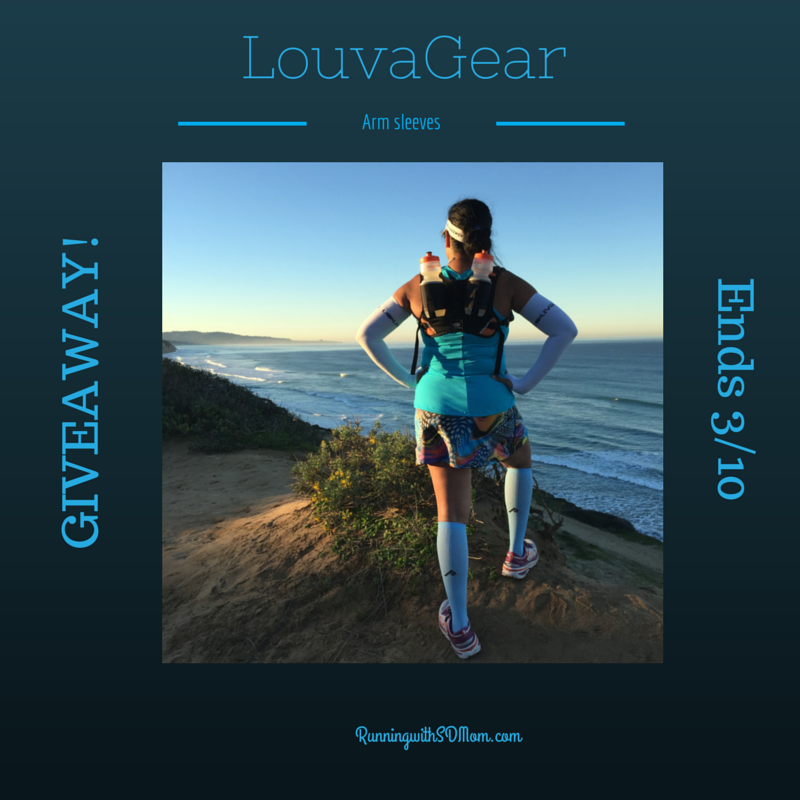 Winner will be provided the prize directly from LouvaGear. Substitutions unlikely but may apply. SD Mom not responsible for failure of sponsor to deliver product. So do you wear arm sleeves? Which color would you pick? Black or white? If you could have them create any color for you, what would you pick? I don't usually, but lately with it being so cold, everything goes on in a billion layers, haha. I'd choose black, but my default favorite color is blue! :]! I haven't worn arm sleeves yet, but if I won, I'd get the black ones! I have never worn arm sleeves before, but I'm very curious as I am a very cold natured person! Did all the options ( even gave you a "like" on Facebook), except the Instagram thing. I'm on my PC and don't know how to do that. I do wear armsleeves when the run start off a little chilly. I'd like either white or black! I do have a pair of black ones from asics! I've never worn them, but I would love a black pair. I've never worn them but I'd love to start! I always over dress. 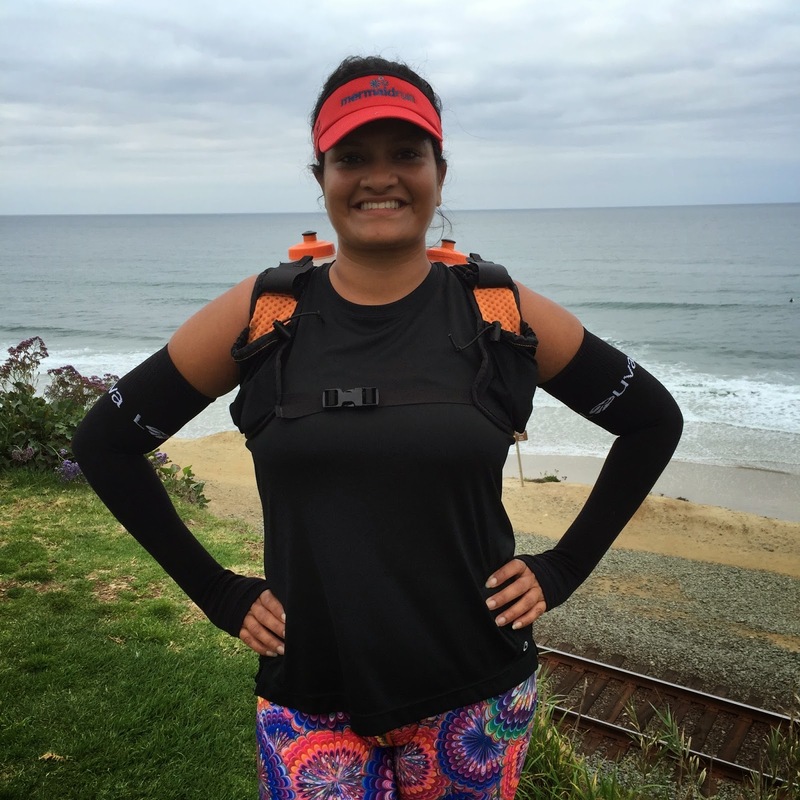 The sleeves look like a great idea because you can wear them for the two hours before the race when you're standing around freezing but then take them off after that first mile gets you all warmed up! I have always wanted to try arm sleeves! These look awesome! I have not tried arm sleeves. I would like to wear white ones. I do every now and then! Black! I don't, but I love the black ones. I've never used them but think they'd be better than messing with a jacket on my walks. I think I'd take the black ones. If they could do any color I'd select blue. I've never worn arm sleeves, but I'd go with the black ones. I love black, it's been a thing since the 70s so why change now? I haven't tried arm sleeves yet but black ones would be cool. I've never worn arm sleeves but would like to try them. I'd pick black! I have the white and would love o get the black. I've just started thinking about trying sleeves and I would probably go with the black ones. I occasionally wear arm sleeves, but they don't have thumb holes!! And they are white. Those are awesome. I've been looking into getting some for when the temp is right on that edge for me. I love the thumbholes in these look great. Hard to pick between the white and black, maybe white. I do not have arm sleeves now, but I think it is a great idea and I would like them. Would love the black ones! I do have a pair of arm sleeves. I love them. I'd pick white because the ones I have now are black. I have never worn them before but would love to try! I'd go with the black ones I think. I don't have any arm sleeves, but I would pick black! Haven't tried arm sleeves yet but would love to! I live in a desert climate, so on longer runs, it's cold in the beginning, but warms up a lot by the end. I think they would be perfect. Id wear the black and love the thumb holes! ingenious! 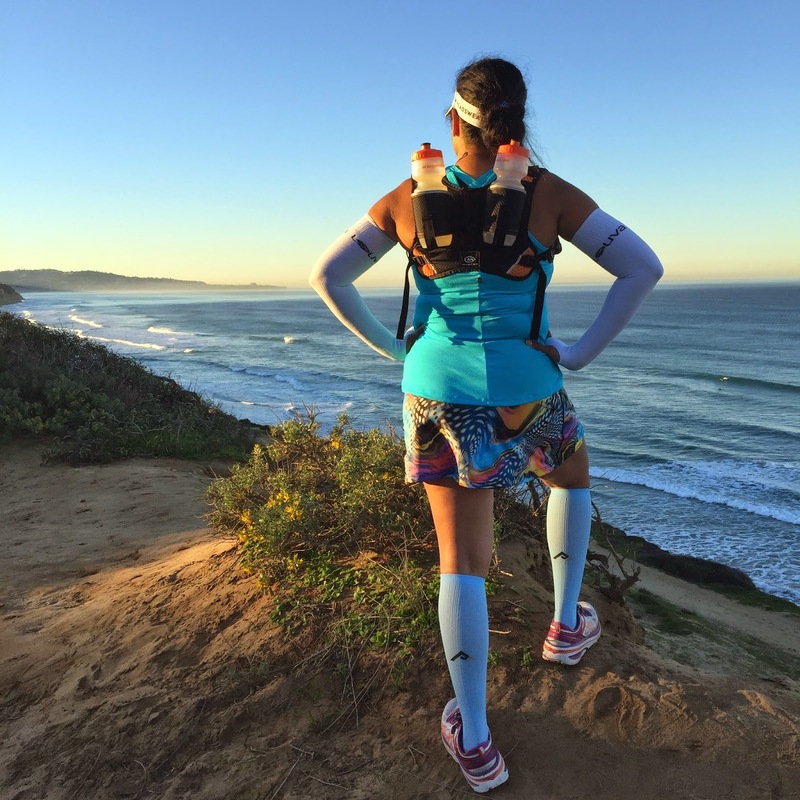 I've wanted to get some arm sleeves as I am also in Southern California and deal with the same issues you noted - what to do when that temp drops down but you know that you're going to warm up once you get going! :-) Would love to wear either white or black! I have never worn sleeves but they make perfect sense! And I love the thumb holes! Perfect! Have never worn them - I'd pick white.